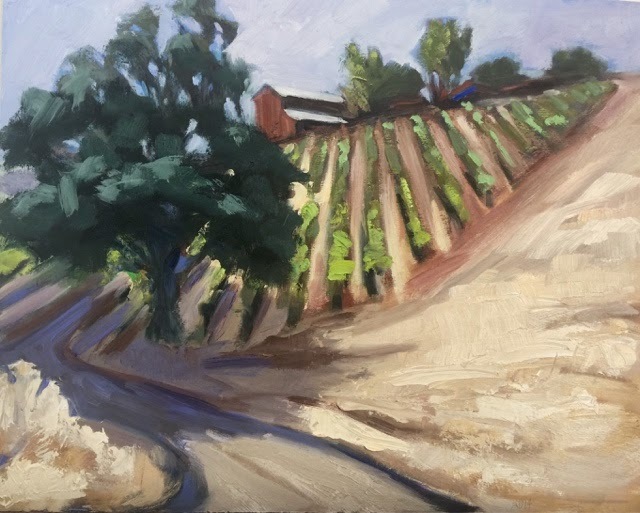 I did this plein air landscape in Paso Robles ( outside the Terry Hogue Vineyard) last September but it wasn't finished so I worked on it a little more. Note to self: the paintings are usually 80% finished on site then it's back to the studio to make them work. I went out a couple of weeks ago and painted at the south east tipnof the lake- right by the freeway. Then finished up today in the studio. 18" x 18"
The week ends are very busy in the studio these days. 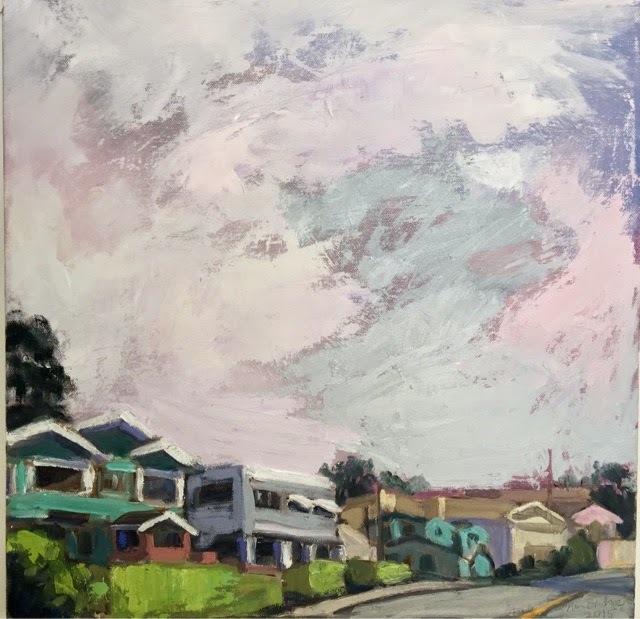 Figure drawing and painting, regular painting and the intro class. Glad to have so many great people around!